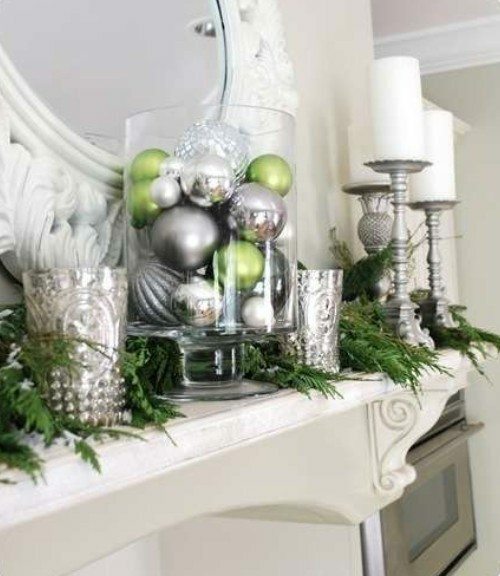 Decorating for the holidays can be daunting, but it doesn’t have to be. Below we’ve compiled a few tips to make transforming your home for the holidays fun and more suited to your year round sense of style. When Christmas time rolls around each year, people immediately go for the red and green. They are the colors of the season, so they must be the best colors to decorate with, right? Red and green don’t necessarily go with everyone’s decor, and sometimes it can be a bit of an overkill. To fix that, use a more monochromatic color scheme. Christmas is about snow and warmth, so use that as your inspiration to decorate, and incorporate those elements into your design. Pick pieces that subtly speak of the holidays by creating a space that feels more like a winter wonderland, with whites and earthy tones. It not only looks more sophisticated, buta monochromatic palette makes as much of a statement as having red and green everywhere. The key to creating any space, is to layer, layer, layer! Start by selecting big focal pieces for the space, and then surround them with smaller pieces of varying scale. It makes any space look put together and thoughtful. 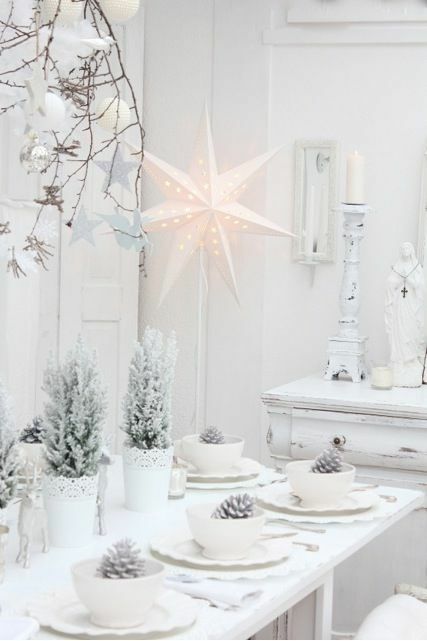 If you’re not a person who goes for the all white “winter wonderland” theme when decorating their home for the holidays, using natural pieces to help break up the white in a space and add texture, is a wonderful way to tastefully decorate for the holidays. Bring in branches and plants to use throughout the space. Using a very white color scheme makes a wonderful statement and makes a space look sophisticated and enchanting. 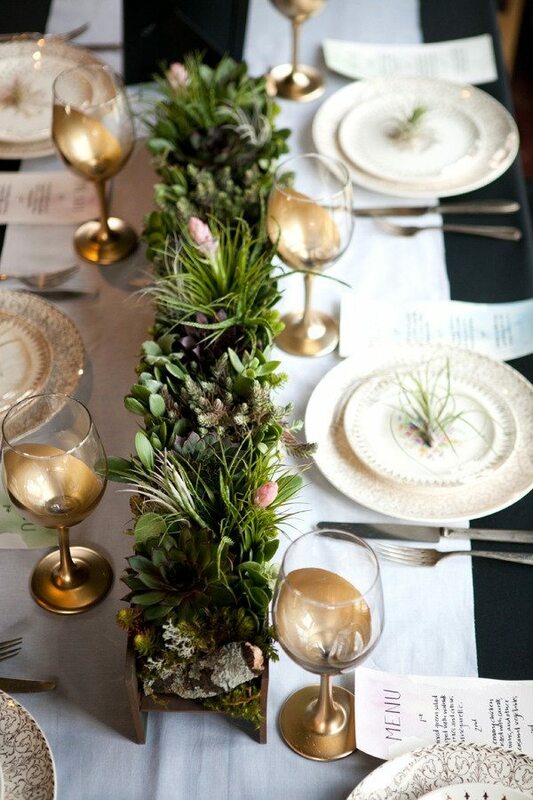 This live centerpiece paired with simple gold accented dishware is simple and festive.